The 16th Exhibition of Home Appliances, the largest event of its kind in Middle East, will be held in Tehran Int’l Permanent Fairground from November 24 to 27. Habibollah Ansari, the secretary of Iranian Association of Household Appliances Industries, announced that 148 foreign companies from Italy, India, Czech Republic, Germany, Turkey, China, France, Australia, South Korea, Japan, Spain, United Kingdom and Malaysia will also display their latest products. “This year, the exposition has been well received by foreign companies, showing a growth of 62%. The presence of interior companies also shows an increase of 16%,” he declared. According to Ansari, the main purpose of this exposition is to create an opportunity to introduce the industry’s capabilities and innovations in the field, compare related appliances, be informed of clients` comments, initiate commercial negotiations, improve exportation and interior marketing, stabilize and consolidate the relationship between producers and piece-makers, promote the culture of using homemade productions, study and evaluate the industry for industrialists, experts and scientists, and cooperate with foreign investors. “Except for refrigerator`s compressor, Iranian industrialists are nowadays capable of producing 100% of appliance components,” he noted. 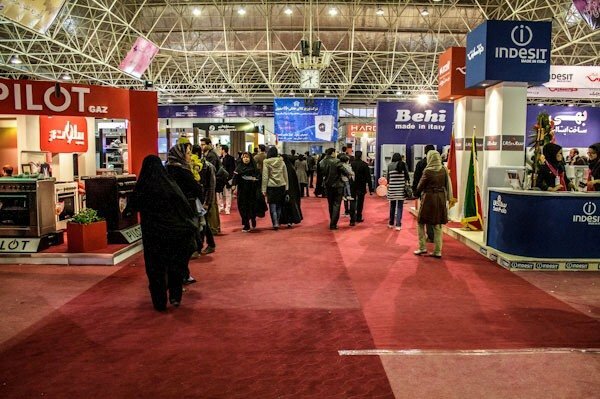 The 16th Exhibition of Home Appliances will be kicked off next Thursday, November 24, and will be open to visitors at the Tehran Int’l Permanent Fairground until November 27.